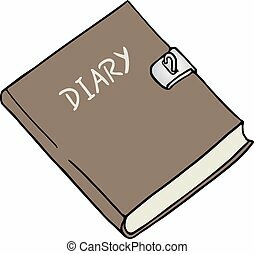 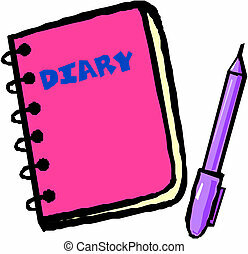 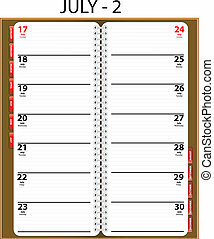 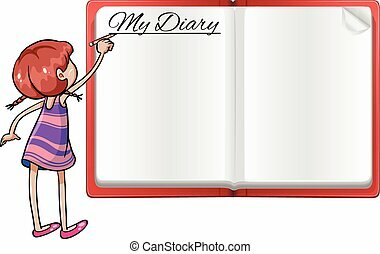 Diary illustration. 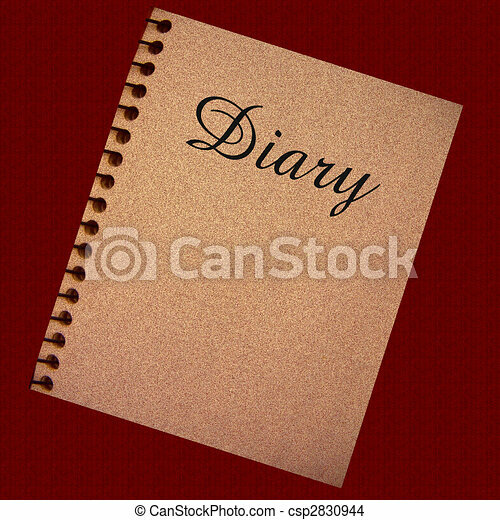 Diary spiral notebook on dark background illustration. 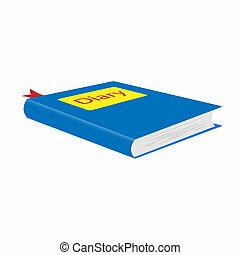 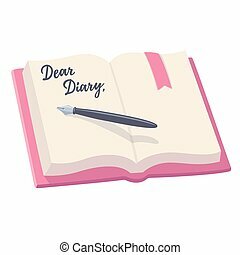 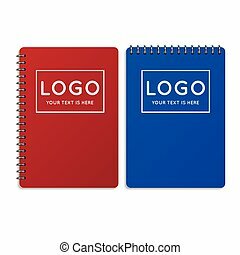 Open notebook with pen and written words Dear Diary. 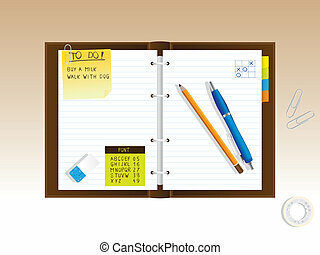 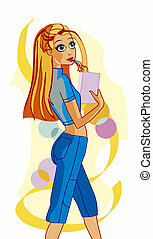 Journal entry vector illustration.